Agile principles and Scrum practices were brought about by people who have seen and experienced firsthand how old processes and models were failing to solve new challenges. However, adopting new things also poses problems, especially if the new mindset, values and processes are not clear enough to follow. Not everyone has had the experience or expertise to recognize the old from the new, and following principles without a clear understanding of how Scrum is different from the traditional way of managing projects or developing products may lead to half-hearted efforts or complete failure. Below is a list of Scrum project management books about how to transition clearly and successfully in managing projects, IT or otherwise. We used several criteria in compiling the list but focused greatly on the authors and their connections to the agile and Scrum movements. Other criteria considered were date of publication, price, rankings and customer reviews. We sincerely hope that you will find value in them and be on your way in understanding and implementing Scrum in your respective teams and organizations. Summary: Kenneth S. Rubin is a Certified Scrum trainer and agile coach. He has successfully taken different roles such as a member of a Scrum development team, ScrumMaster, and Product Owner, including being the first Managing Director of the Scrum Alliance. His book that was published in August 2012 explains Scrum principles and practices, and how as a framework and an organizational structure can help companies develop products of value. It remains as the #1 ranking book in Amazon’s Best Sellers in the Agile – Project Management category. Summary: Ken Schwaber is one of the developers who published the Agile Manifesto, and together with Jeff Sutherland, formulated the initial Scrum development process. He is a software developer and consultant. He is the founder of the Scrum Alliance and now runs Scrum.org. This book was published in February 2004 but still ranks #15 in Amazon’s Best Sellers in the Agile – Project Management category. The book presents the rules, roles and practices of Scrum through case studies, where the reader gets to understand the real-world lessons from the success and failures of those who implemented it. 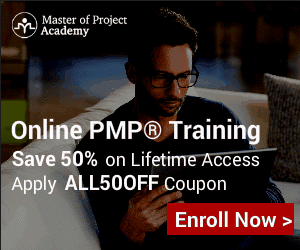 Summary: Mitch Lacey is a veteran project manager and program manager of over 15 years who has successfully used both plan-driven and agile projects. While working at Microsoft, he was involved in an agile team that was coached by Ward Cunningham, one of the initial signers of the Agile Manifesto. He has since transitioned from program manager to Agile Coach and Agile Practice Manager. His book was published in March 2012 and has received an average of 5 stars from 114 customer reviews, 100 of which gave it the highest 5-star rating. The book gives the reader skills and confidence in overcoming early-stage challenges and later deep issues in adopting Scrum. Summary: Ilan Goldstein is a Scrum trainer, author, conference speaker, blogger, Agile training consultant and founder of Scrum Australia. 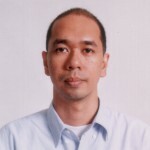 He has trained international companies, government agencies, and universities in implementing Scrum successfully. His book was published in July 2013 and is the most recently published among this top 5 list. It is also part of the Mike Cohn Agile Signature Series. The book presents 30 flexible shortcuts that have been proven to successfully help the reader translate the Scrum framework and produce tangible outputs. So far, it has received an average 5-star rating from the 32 of 33 customers who gave a review. Summary: In Scrum practices, the ScrumMaster is the closest role a traditional project manager would perform in the new agile environment. Geoff Watts is the first Certified Scrum Trainer and Scrum Coach in the UK, according to his biography in the Scrum Alliance site. He is the founder of Inspect and Adapt, an agile and Scrum training company that provides training to create engaged, autonomous, and creative teams. His book was published in May 2013 and has received great reviews including from authors like Mike Cohn, Esther Derby and Roman Pichler. The book shares stories and practical guidance to the reader of how to be a great ScrumMaster who can elevate a Scrum team to high performance levels. The Scrum methodology helps teams achieve the values and principles of being agile by defining specific roles and practices. Since these are specified in clear and simple terms, some may mistakenly think that they are also simple to implement. These Scrum project management books provide practical guidance, real-world case studies, clear introductions, shortcuts, tactics, tips and the right attitude to successfully implement the most popular agile process and project management. The recommended books are good. However, most of these books provide a perspective of scrum in an ecosystem of other frameworks and structure. “Agile Project Management with Scrum” is the only exception. Some books are pretty popular because of early movers advantage. Elements of Scrum is one among those.